Mr Reinhard Banasch, the global CEO of the Hoffmann Group shares his thoughts with Syed Shah on the developments and milestones since his appointment to the role in 2014. 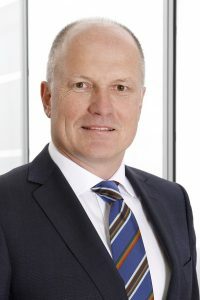 Reinhard Banasch was responsible for 2008 to 2014 as a board member of the Rational AG marketing and sales. Before this, he was previously European sales director and regional director southern Europe at Pilkington. After working in sales and product management at Nixdorf Computer AG, he worked eleven years at Mars Incorporated in various international Sales and General Management functions. Under his stewardship, the Hoffmann Group has achieved the one billion euro revenue mark for the fiscal year of 2014, which according to the Hoffmann Group, is the company’s best annual result in its entire history. This represented an increase of 8.9 percent compared with the previous year. What were your thoughts when you took on the role of CEO of the Hoffmann group and how have things progressed for you moving on a year forward? Before I was appointed as the CEO of Hoffmann in 2014, I have held several positions previously which include serving as a board member of the Rational AG marketing and sales. I was also the European sales director and regional director for southern Europe at Pilkington. Hoffmann deals with quality tools and its mission is to make its customers more successful by reducing the costs and simplifying the process of tool procurement which will in turn lead to increased productivity. This is one of the main attractions of Hoffmann for me – from a marketing and sales point of view, the company is very close to its customers. Developing customer advantage is out of the product offerings because I believe a company’s success is determined by how well you understand your customer’s needs. The first 100 days in the job comprised of training and working very closely with my colleagues in getting me up to speed with the company operations. I believe that stepping in and changing an excellent business structure of a successful company is not the way to better the business. There have been two major drivers in this company which have made it very successful. The first is the internationalisation of the company with its consultative approach towards as part of the service to the customer in an increasingly complex business environment. The second one is digitalisation by making the interface of our offerings to the customer as efficient as possible. What are Hoffmann’s key priorities for the Asia Pacific region and your strategy towards achieving those opportunities including potential growth areas? Our main target in the region is to become the system partner in the point of view of our customers that we are not just a company that produces a catalogue or just a pure cutting tools manufacturer but instead something that is a combination of the strengths of both portions. We strive to improve the productivity of our customers so we are offering what we offer elsewhere in the world to this part of Asia too. We also seek to bring our services in the e-business to the fore with our online product ordering service. This, together with our consultancy service is one of the cornerstones of strength for the Hoffmann group. So the message that we want to bring to our customers in this region is to instil a sense of trust in them about us – that we are the right company to provide them with a comprehensive set of solutions for their tooling issues. In terms of the availability of tools with the increasing demand for them in this part of the world, we always make sure that there is enough of each specific tool in the distribution centres anywhere. Of course, while we do our best to ensure delivery, there might be issues with customs clearance depending on which country you are bringing your goods into which are out of our hands. Most businesses are heavily dependent on the economy and the past few years have seen a volatile world economy. So how does the Hoffmann Group manage to stay profitable and keep positive growth? Our strategy of internationalisation and our reach into the more established economies have “softened” the impact of the multiple global downturns in the last few years. This has enabled us to “even out” the revenues amongst the subsidiaries and ensure that the company stays in the black even in the most difficult of times. Another strategy is our diversified offerings to the manufacturing sector. With diversification, if one segment might be facing a tough market during a trying time, then the other areas of focus would be able to make up for that pressure. This means as long as a company is producing or maintaining something, there is always a business opportunity to be working together with us. This means that we can be selling not only to automotive makers or energy companies but we will also be having our reach in other areas like chemicals. So I would say that we are in the position to be a very healthy company for many years. Currently we have 130,000 customers and will be a 1.1 billion euro revenue company. Crisis is a matter of how big your market penetration is already so I believe that there is always an opportunity if you stay close to your customers. In addition, sometimes having a crisis might be a good thing because then it spurs creativity when exploring segments of the market that have otherwise been previously unexplored. For instance in the European economic crisis, some markets were suddenly more open to more ways of doing sourcing for materials and services that we could provide to help them. 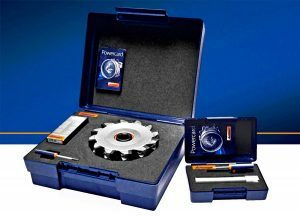 Could you share a little more on some advances in cutting tools that Hoffmann has recently released and will these offerings be marketed here in ASEAN especially? Garant is one of the leading names in cutting tools today. With it, we are driving our expertise into Industry 4.0 making sure our products are integrated into the production processes of our customers and ensuring that throughout its service lifecycle that those products perform at their best. Cutting tools is about the speed and the durability of the product (how long it is going to last in service). If the tool is going to last three to four times longer than the competition then the return of investment for a slightly pricier tool with superior workmanship is worth it. Performance is defined by the cutting tool itself and in a 4.0 environment you know exactly at what stage of the lifecycle the product is. 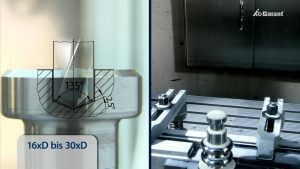 It has always been amazing for me when I know that you can still drill or mill when while understanding what the challenges of materials are and how much you can achieve when you put together the latest aspects of technology in machining today together and one such product is the Garant MasterSteel HPC milling cutter. The requirements in vertical markets such as aerospace and the automotive sectors are very high because they require high end and the most modern cutting machines. 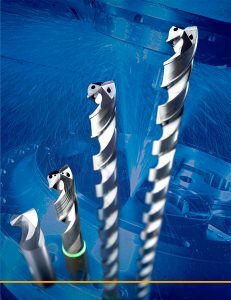 These machines would then in turn require the highest grades of cutting tools. 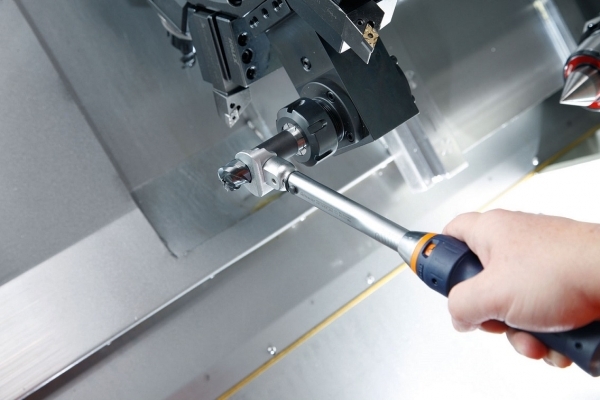 If you have a high end machine that has substandard cutting tools, then it will be no point. I would liken this to driving a Lamborghini that has been fitted with a saloon car’s engine which is wrong because it would not justify the cost of investment. Thus you need high grade cutting tools to get the cutting machines to perform perfectly. With 25,000 or so tools offered, we have a wide range of tools to suit specific needs of these industries. It has been a long standing issue for manufacturers in the region about the standard of the knowledge for machine tools. What can regional players learn from their European counterparts? How well a customer is able to utilise the best tools very much depends on the manufacturer’s ability to connect with the customer as mentioned earlier. As such, the consultative sales for us is the most important thing – finding out their challenges, having salespeople that are equipped with expert knowledge of the products who are able to communicate and advise customers accordingly. This is something that Hoffmann is very strong in plus I would say that the salespeople we have are well informed and have been keeping abreast of technological developments on the factory floor like Industry 4.0. With this, I have no doubt that customers will be getting the latest and most relevant advice on their product lifecycles and operations regardless of their locations. But for everything else, I would say that we cannot really be differentiating the expectations of the European or Asian customers because the expectation for the quality of the tools is very much similar. It is not a question about learning anymore but instead it’s about getting together and making sure that we can provide outstanding consultancy where we work with the customers and potentially develop tooling solutions to suit their specific needs. In terms of production processes for the manufacturing in Europe and in Asia, we feel that the standards are getting pretty similar today because we feel that standards and requirements are high and sophisticated. The advances of technology have stepped up a gear when it comes to productivity and cost savings. 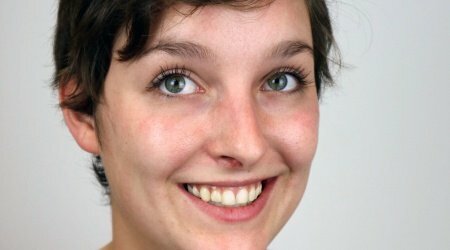 Could you give us some thoughts on Industry 4.0 in this respect and how tooling comes into the picture? I would like to think that it is heartening to know that the businesses in this region are familiar with the term Industry 4.0 since its initial origins from Germany. How does this fit into our business? All our products would be made available with ready content for the customer to choose in the e-shop. The next thing is to make sure that these products are moving smoothly in the production cycle. We seek to keep track on how well our products are performing (serving our customers’ needs) on the automated floor without manual interference. What we do is that we position our offerings to fit into the increasingly automated processes in today’s manufacturing paradigms. What is your style of leadership and what do you hope this style brings to the business? As mentioned, I have found that the company has been extremely successful in the past and first of all one need to adopt the style of the company and not vice versa. From a leadership point of view, I think it has to be a perfect balance between celebrating the success of the team and being eager to move forward because standing still means falling back. So my standpoint is that the role of the CEO is to always challenge the way of the working style of the people within the organisation. My principle in life is that I like to give an idea of what I would like to achieve for the business and be surprised by the people in my organisation in realising that idea. So far this has worked out very well in Hoffmann since I have taken over. I am a great fan of communication so what I think is right is for the leader to know what the people in the organisation is thinking so in this sense, the door to my office is always open. In other words I would like to say that I am definitely reachable. To sit in an ivory tower is a sure way to distance one’s self from those on the ground – the very people that makes the organisation tick. I also feel what is important is to give people in the organisation a sense of ownership of the company because if they do not feel connected to the organisation they are working for, then it would be impossible to look to grow the company in the long run. Some final thoughts for the coming year for Hoffmann in terms of growth and expansion. We are in the budget phase for 2016 and overall we are feeling bullish for the global economy despite the few challenges in specific markets. We still need to be still cautious about this but the overall expectation for the company points towards growth and investments. There will be more exciting announcements within 2016 when the new catalogue for our products is out. There is a huge competition for our suppliers to be in our catalogue so I think that things are definitely looking up for us come 2016. In order to boost the first stage roughing operation on newly cast aluminium parts for the automotive industry, Sandvik Coromant is introducing its M5Q90 angential milling cutter.